Stewart Andrew is 29 years old and and is an EMSA Paramedic and Tulsa County Sheriff Office (TCSO) Medic. Stewart’s favorite aspect of Fit First Responders is the life long friendships he has built with first responders for the different services. 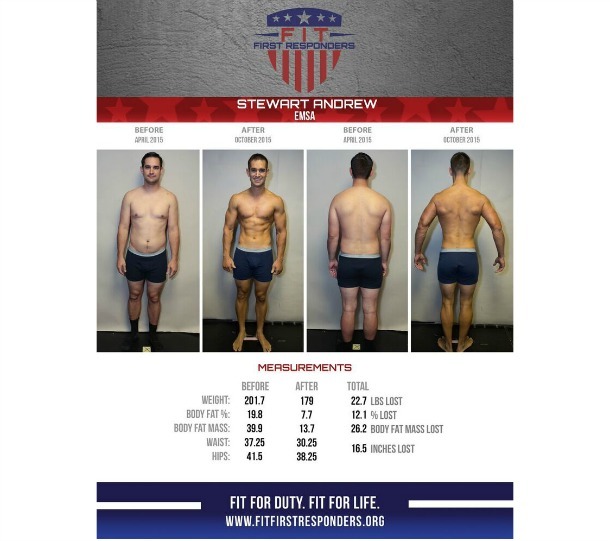 As one of the top finalist in the 25 Week Challenge, Stewart had amazing physical results. 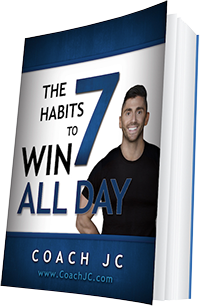 He lost 22.7 pounds, 12.1% body fat, 26.2 body fat mass (or pounds of fat), and 16.5 inches. He gained lean muscle mass, increased endurance, increased flexibility, and dropped four pant sizes…plus got abs!! !